Hello lovely people! We are all aware of the fact that we should use a body polish/scrub at least twice a week to buff away dry and dead skin and reveal fresh and new skin hiding underneath. 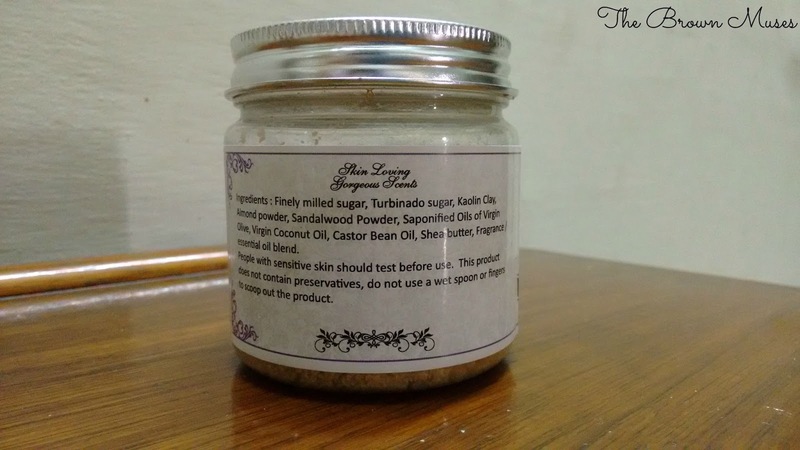 Today I am going to review a body polish/scrub that buffs away dry and dead skin without stripping natural oils off our skin. The body polish goes by the name of Sandalwood Body Polish by the brand Gia Bath And Body Works and if you ain’t aware this particular brand painstakingly handcrafts skincare and hair care products which are luxurious, cruelty free and chemical free. I have previously reviewed their butter creme whipped soap which could be found here. Our products are made in small batches, giving each bar the attention that your skin deserves. We use skin loving oils like Virgin Olive oil, Castor bean Oil, Virgin Coconut oil and Avocado Oil. Each bar of soap also contains butters like Shea, Cocoa and Mango.The Fragrance and Essential oils we use are of superior quality. We do not use any preservatives, SLS, SLES or foaming agents in any of our products. Against animal testing. Most importantly each bath and body treat we make is handmade with love. Our range also includes Body butter, Shower gel, Cleansers, Body Polishing Scrub and Body Mist. 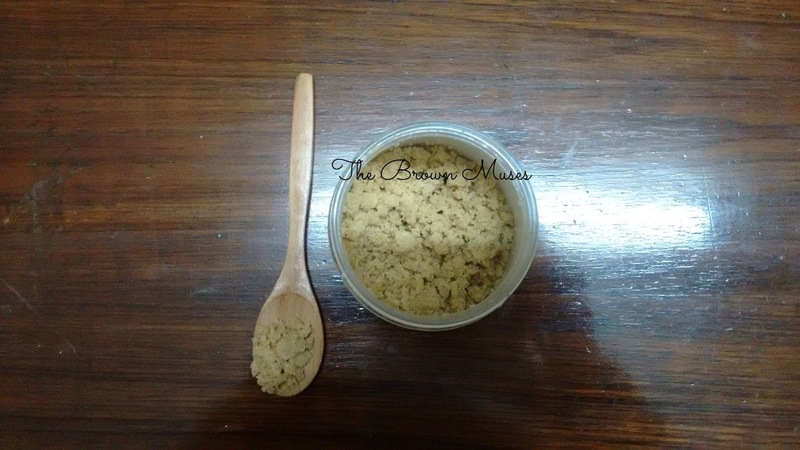 Sandalwood Body Polish with the goodness of Sandalwood Powder and Oil. Sandalwood is known to fade away sunburns and tan while soothing your skin.It also helps with evening out your skin tone with a luminous glow. The product comes in a plastic jar with a silver coated screw top lid. The product has coarse consistency and smells like sandalwood, so earthy and herbal but unfortunately the smell fades within minutes of washing away the polish. I use this product twice a week and emulsify it with a few drops of water in my palm or in a small dish for a minute or two making a thick paste, I have noticed when you emulsify this product with a little water instead of straight applying it from the jar, it works better. If used straight from the jar, you will have the product spilling down on the floor hence the product is wasted. Since very little quantity is required, the product lasts very long. I am using this body polish for over three months and this body polish does what it claims to an extent. It buffs away dead and dry skin without stripping the skin off its natural oils, in fact I skip body lotion post bath as the body polish is moisturizing enough in this hot and humid weather. Coming to the tan removal part, I have not noticed any difference in tan on my hands so I cannot comment on it but I guess I will have to use more frequently to test the claim, currently I am using it only once a week owing to my hectic schedule. The scrubbing particles are not very abrasive though I prefer my body polish to be a little abrasive for some reason, maybe it’s just a psychological thing lol. I do notice a subtle glow post using the body polish which I really like. 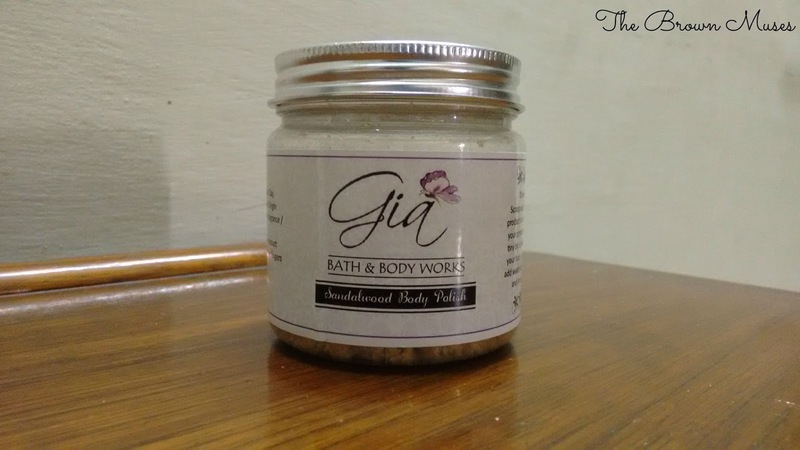 This body polish is perfect for beauties with dry and sensitive skin. Will I Recommend: Yes. No harm in trying once! We would love to know which body scrub you are using right now! Drop us a response below.